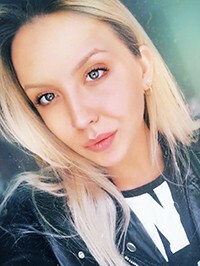 Hi) I am Nina, I like sport and life in general. I am an active person and use to spend much time outdoors. I am honest and well educated young lady. Despite the fact that I am not so mature from a biological point of view, I am serious and know what I want from life: a strong and healthy family. I appreciate honesty and loyalty. I am looking for a family-oriented man. I would appreciate if you will show your interest in me. I hope that you like to communicate, communication can get to know each other better and in this way we could be closer than you can imagine.